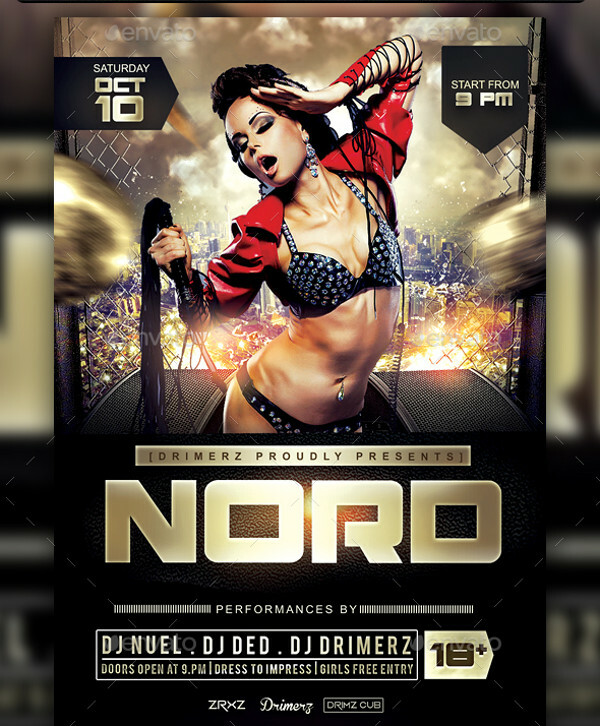 Here are some premium and free flyer templates that are related to the theme of the night. 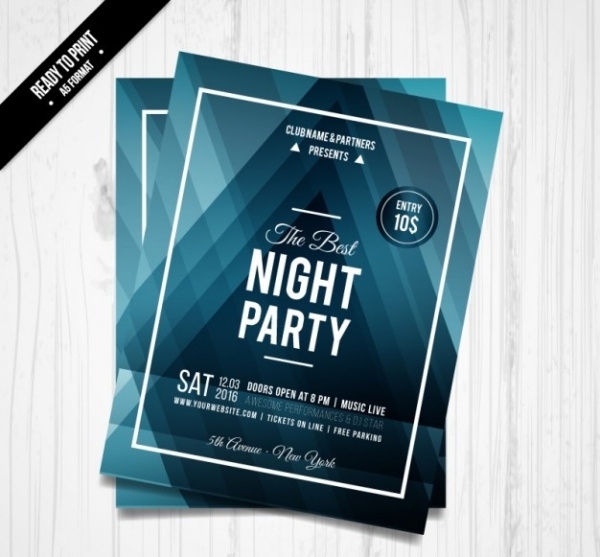 These templates and mockups can be used for various purposes, like event Promotion Flyers, a dinner invitation, or Party Flyers. Scroll through the article to find out more about these templates. In this competitive world of marketing, it is important to use tools that catch the viewer’s attention and speaks to them. In such cases, a flyer or a leaflet design comes in handy when it is about promotional marketing. 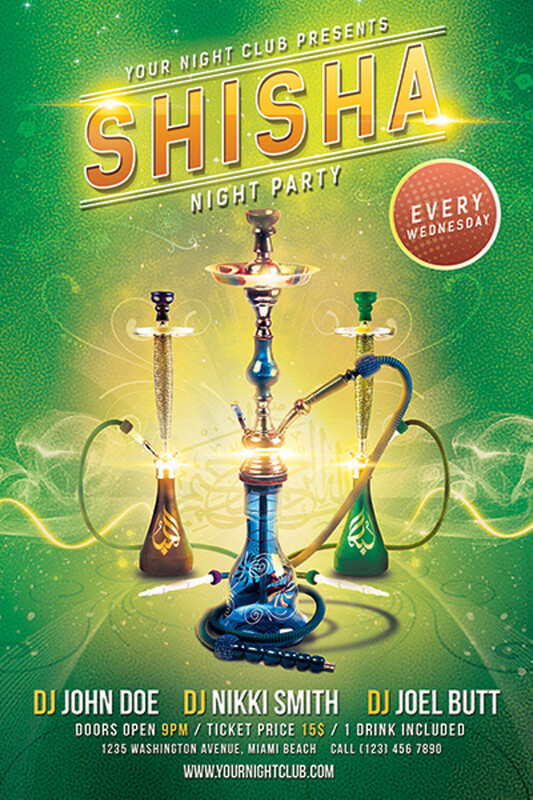 Here is a party flyer template for a shisha and hookah night. 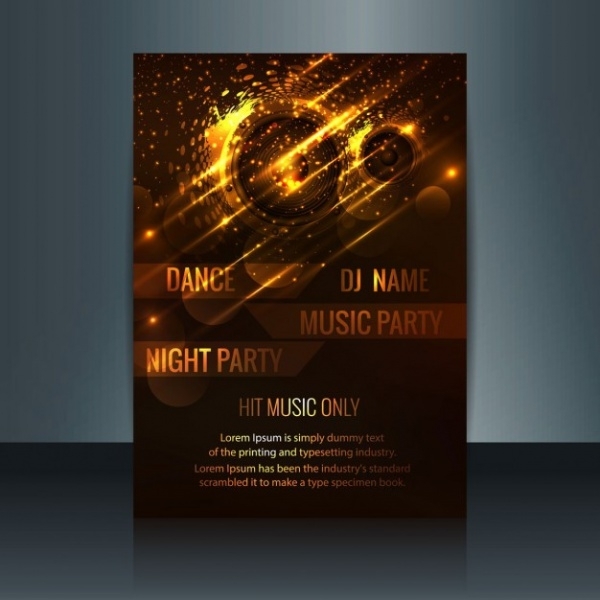 This free template can be downloaded and edited for creating your own house party or café hookah evening flyers.You may also check Promotional Flyers. 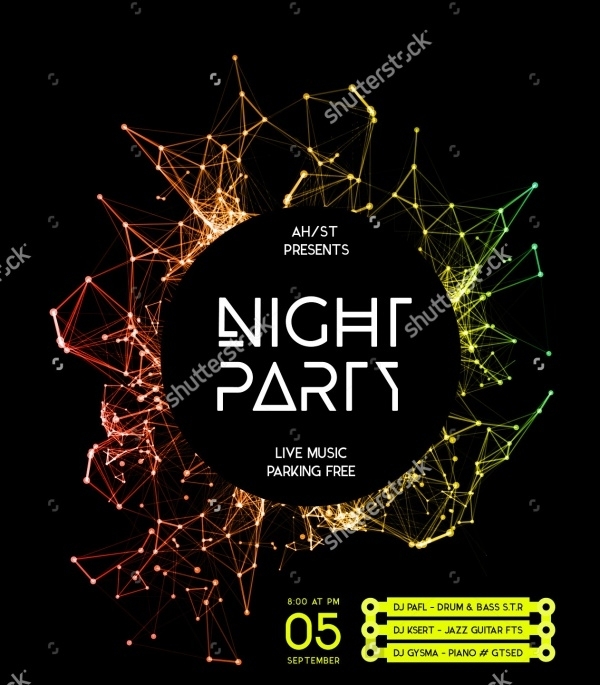 Here is a flyer template that uses geometrical patterns and textures overlapping with different transparency to create an elegant design for a night party.You may also see Dj Flyers. 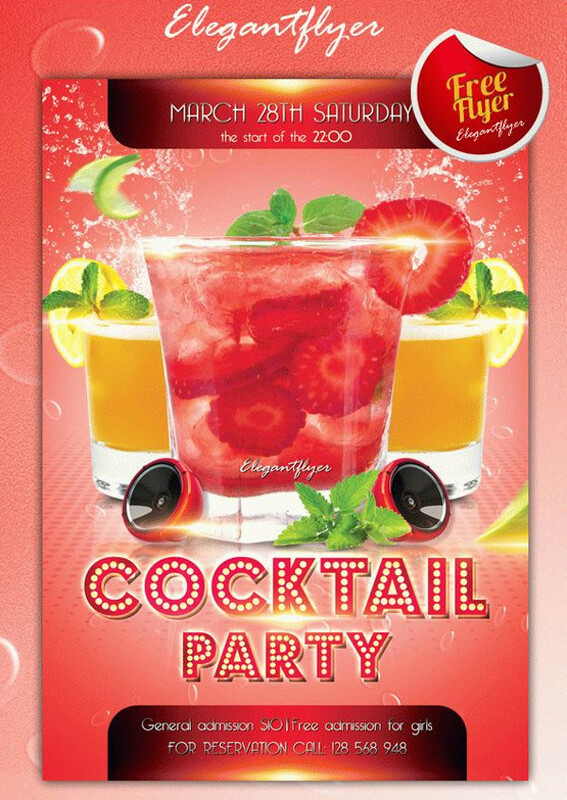 If there is vodka flowing then this design shows you the perfect way to promote it with a ravishing design. Here is a cool design that is available in different color options and comes with editable sections for you to customize the design for your own requirements. 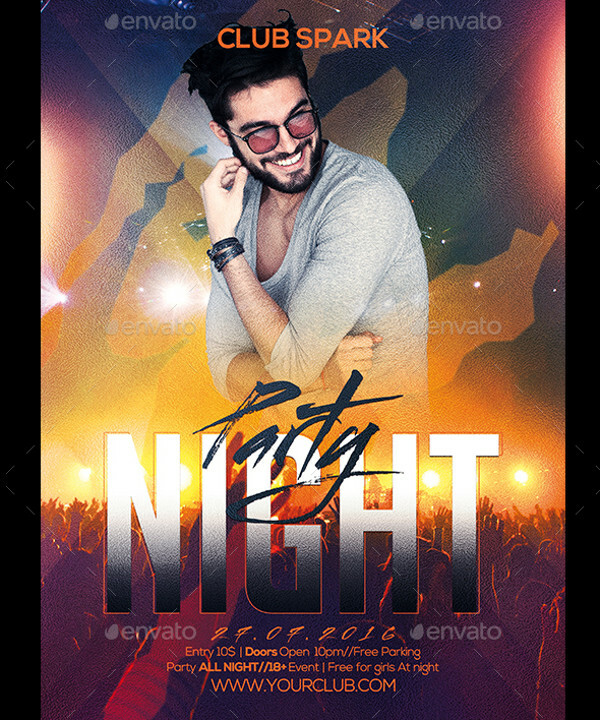 Promote the tropical, colorful dance nights with the use of this premium flyer template that you can download from the mentioned link. 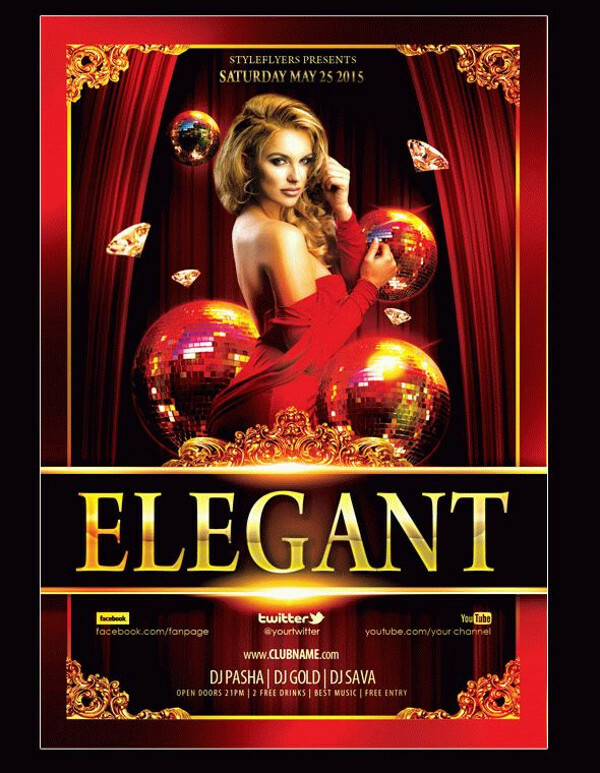 This is a general design that can be used to promote any fashion and luxury related event. 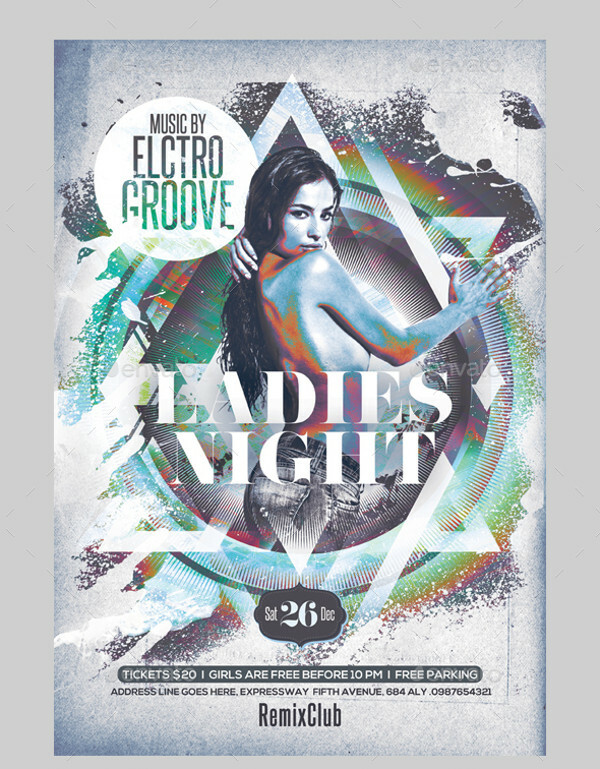 It goes without saying that this design can be used for your client’s elite night club. 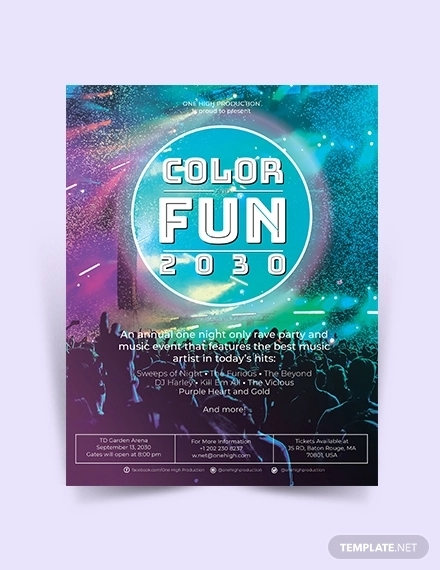 Here is a really funky looking flyer design that uses abstract art in bright colors on a dark background to make the design stand out. Check out this completely customizable fully layered PSD design that is set in 300 dpi resolution and CMYK color mode. 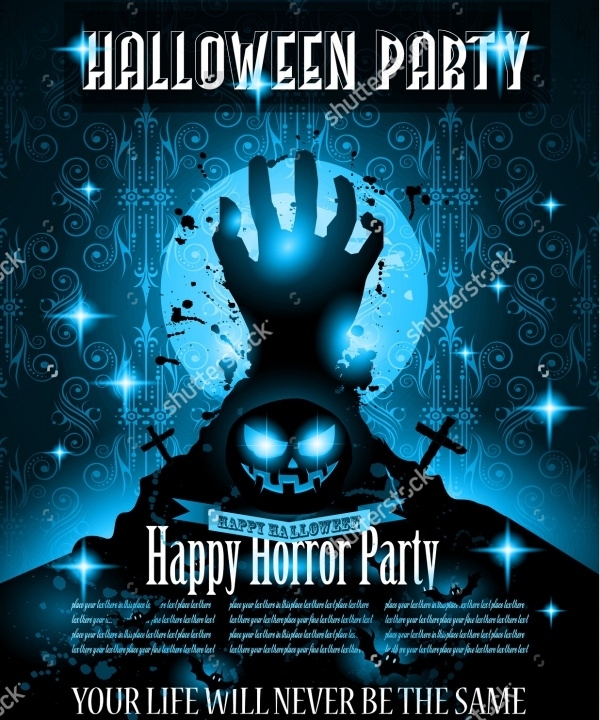 Add the spookiness to your Halloween party invitation with this flyer, that is perfect for horror themed parties and club posters. You are not drinking every night. Some of them can be spent indoors with friends and on binge-watching movies. 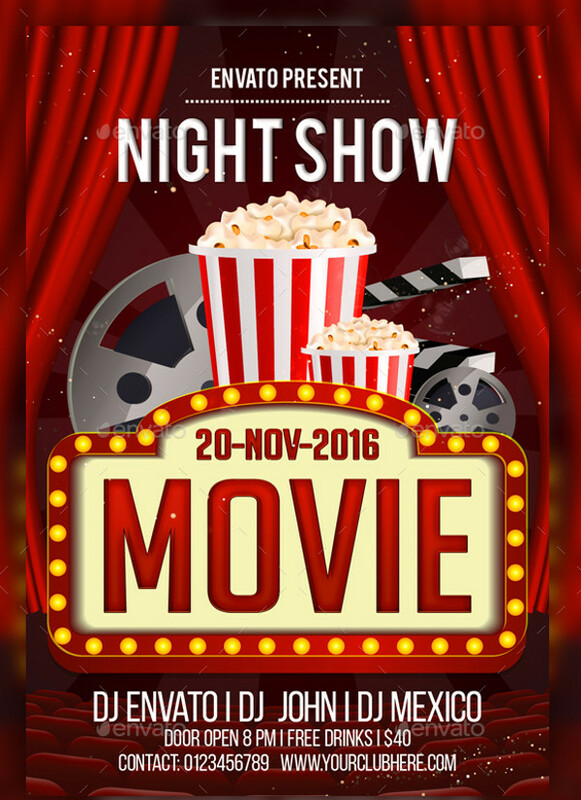 Now you can create amazing flyers to invite people for the movie nights. 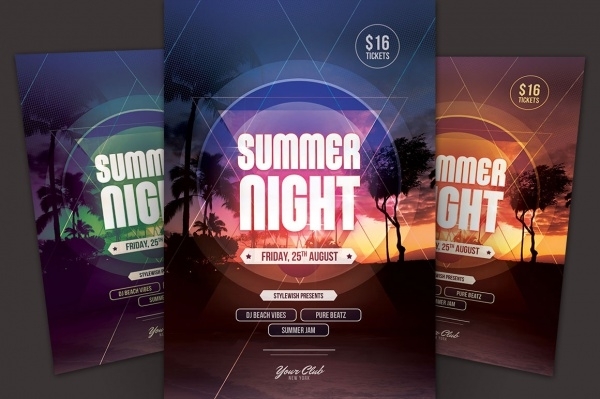 Here is a summer night party flyer template that comes in three different variations. The PSD file is in a resolution of 1275 x 1875 pixels and is simple to customize in its layered and organized structure. 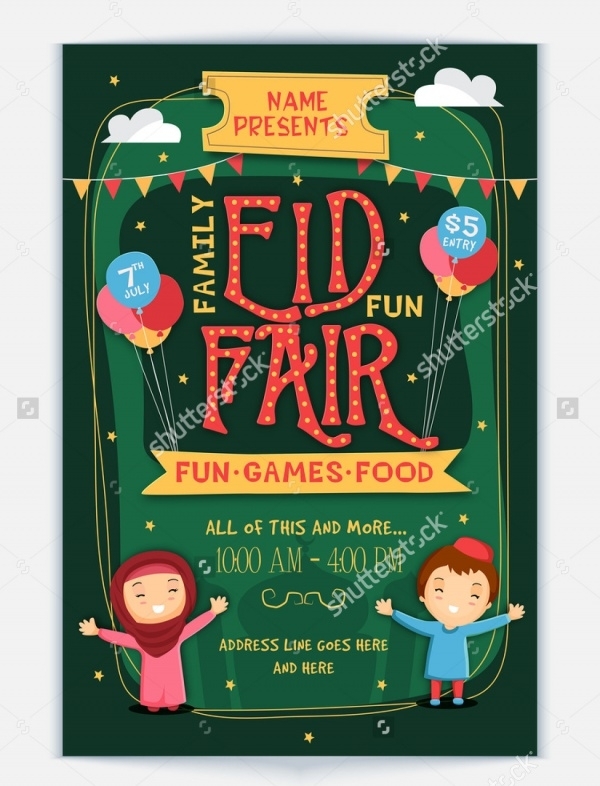 This is a stylish eid fair flyer design that can be used for various such fun fair promotional designs with the same design elements as this templates from ShutterStock. 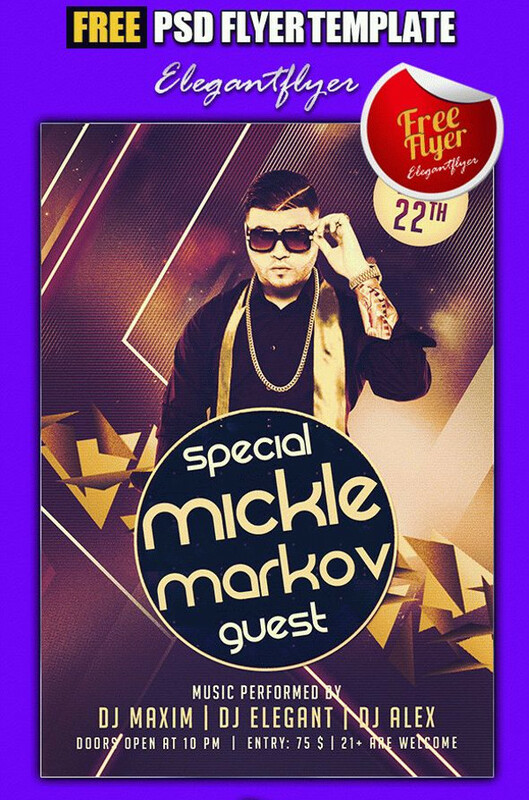 Here is a really flawless and jazzy looking PSD flyer template that you can download and customize for any music and party event. 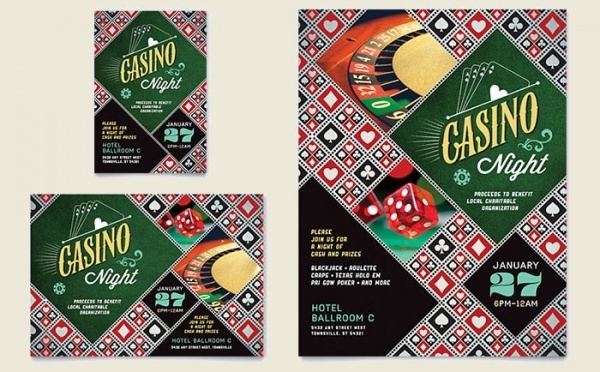 Are you thinking of hosting poker nights or blackjack evenings with your friends then invite them with this cool looking design perfect theme. 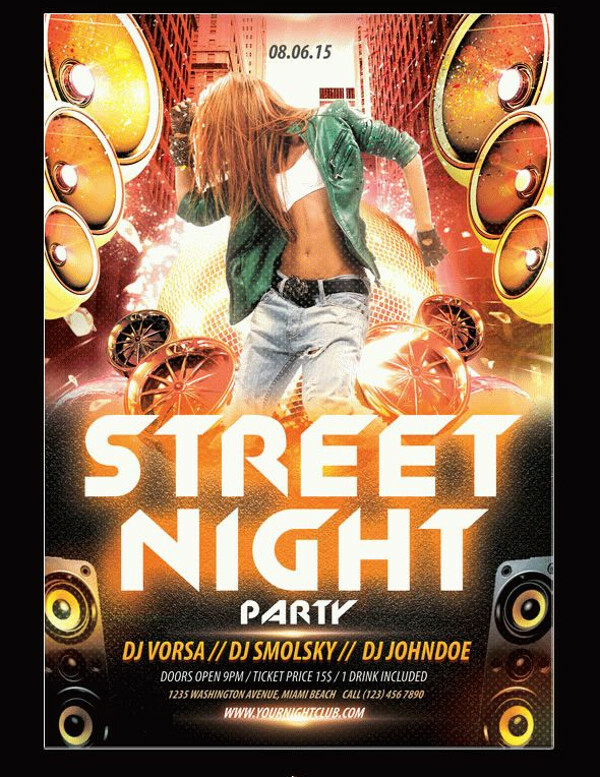 Here is free flyer template for a retro night. 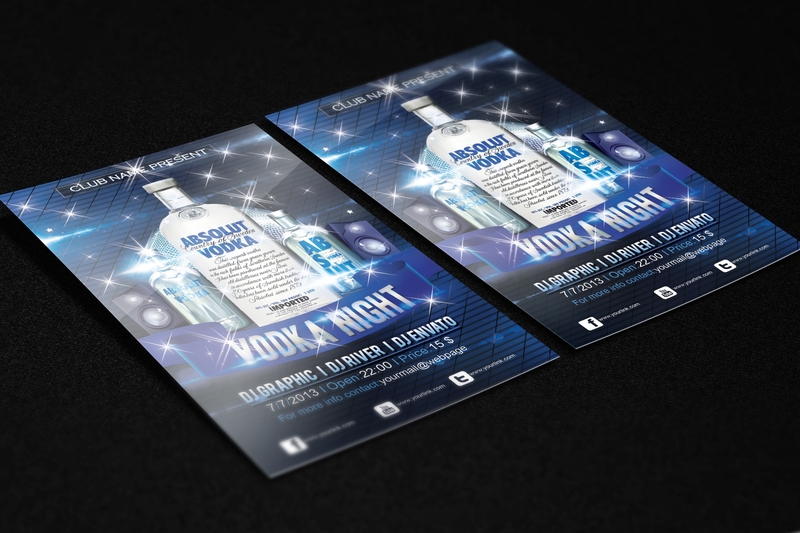 The shine and the bling element of the design can be used to create posters and flyers for disco nights. 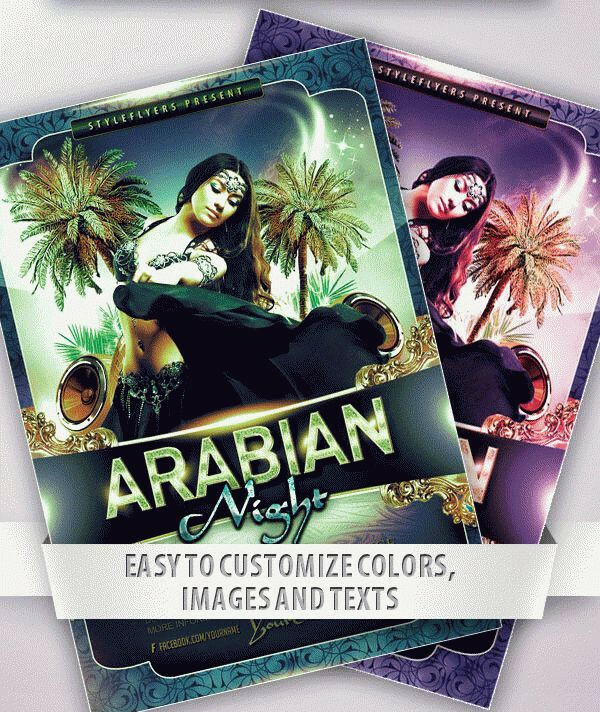 Even though most of these are themed for specific nights but these templates can also be used for promoting any event or club or place associated with music, liquor, entertainment, etc. 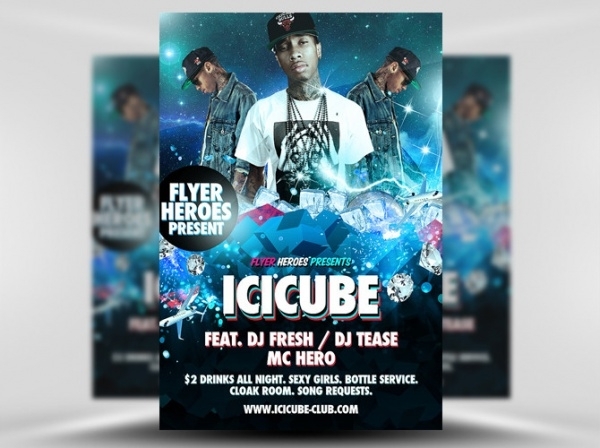 You can also check out our series of summer flyer templates to get some inspiration for your own design ideas.